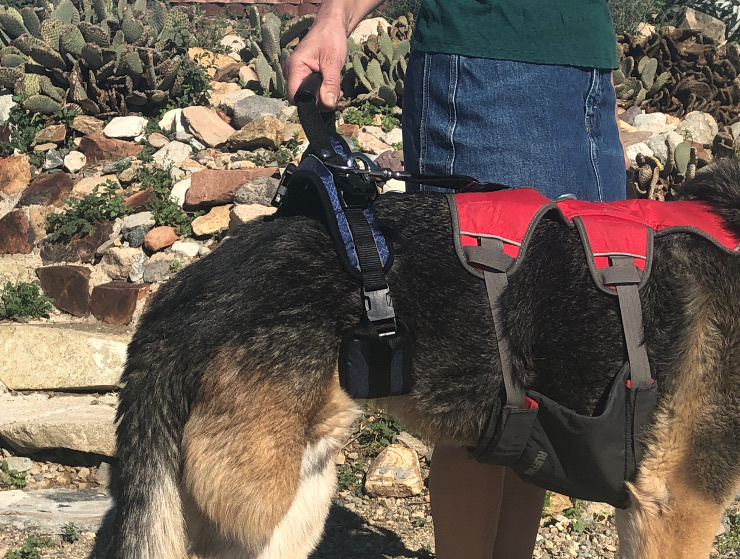 Not all Tripawds need a rear-end dog lifting harness right away. 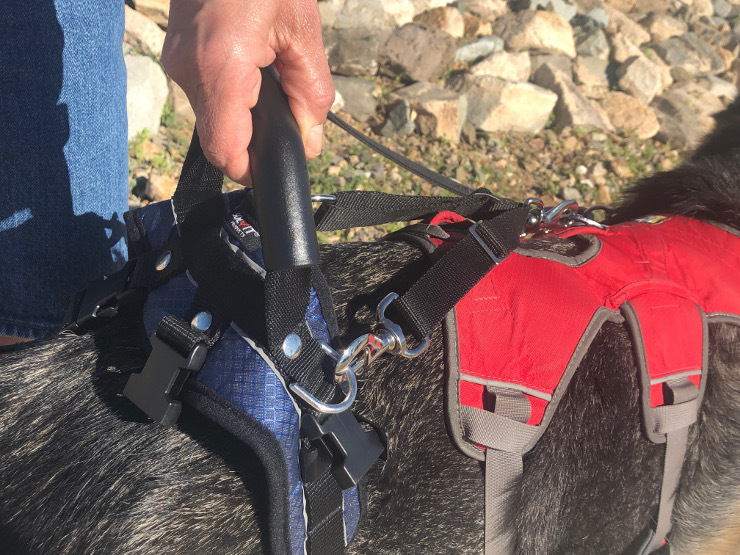 But if your Tripawd experiences hind end weakness, the Solvit PetSafe CareLift Dog Lifting Harness or separate rear end dog lifting harness attachment piece could be a good choice. 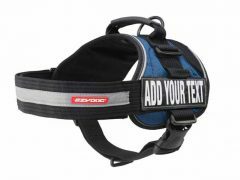 Manufactured rear end dog lifting harnesses are great for four-legged dogs. 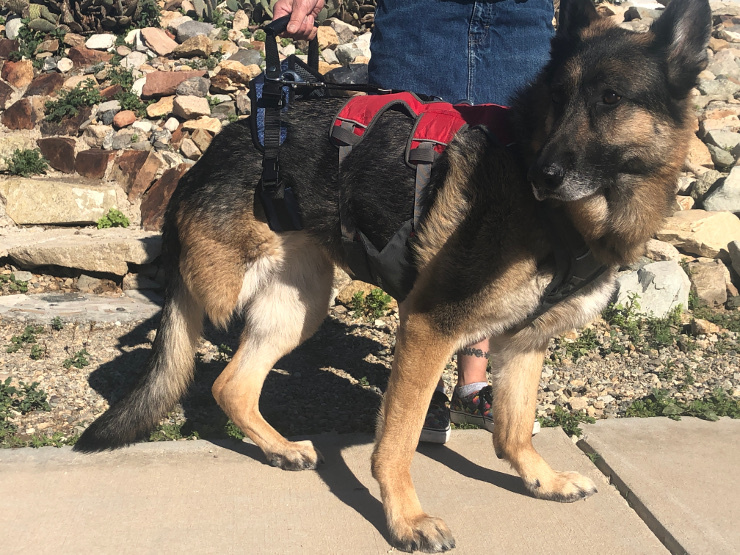 But over the years we’ve discovered that if your Tripawd is missing a rear leg, the leg loops on harnesses like the DoubleBack by Ruffwear, have a hard time staying put. The loop on the amputation side just slides off any remaining stump. That’s a lot of money to invest in a lifting harness working at half-capacity. 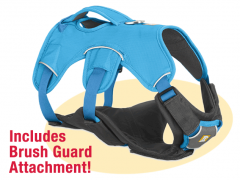 Thank dog there’s an affordable alternative: the PetSafe CareLift Dog Lifting Harness with rear-end dog lifting harness attachment piece. 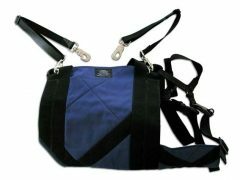 Two harnesses with two handles easily lift a Tripawd. 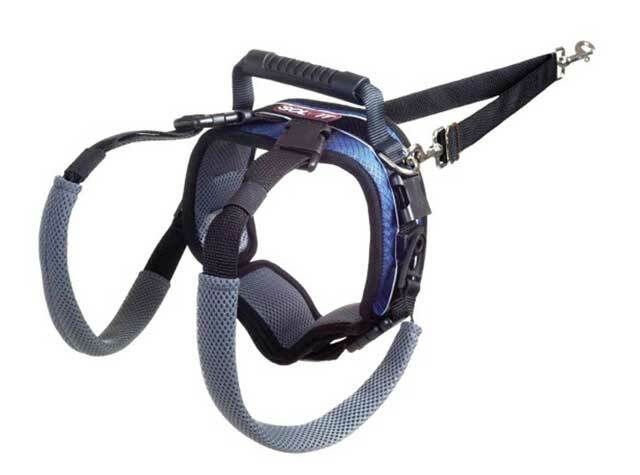 All the best features of rear-end dog lifting harnesses are designed into this affordable alternative, only $49.95 on Amazon. Keep in mind that we don’t always base our Tripawds Gear Store recommendations on price alone. 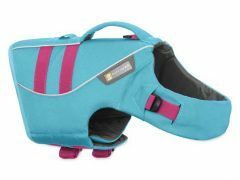 That’s because when we find an inexpensive harness, boots or bed online, it’s usually a poorly made, badly fitting and sometimes unsafe knock-off version of high quality dog mobility gear produced by reputable manufacturers like EzyDog or Ruffwear. We refuse to carry cheap imitations. Our Tripawds deserve better. 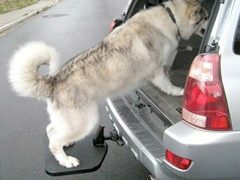 But a few weeks ago, Tripawds Spokesdog Wyatt Ray needed to try out a rear-end lifting harness. 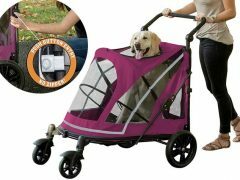 His rehabilitation therapist suggested using one on days when his arthritic rear leg is too tired or weak for a short potty walk. This one does the job. Clip-on handles attach to Webmaster harness D-ring. Removable leg loops. You only need to keep the support side leg loop on the harness. 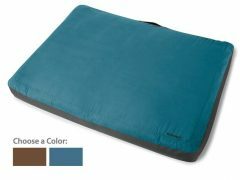 Reduces the odds your Tripawd will get caught on something. Attaches to an existing harness. 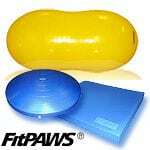 Lift your dog’s hips and abdomen together, instead of placing pressure in only one area. Simultaneously lift by the rubberized handle on the CareLift, and the main harness handle. It’s boy dog anatomy friendly! 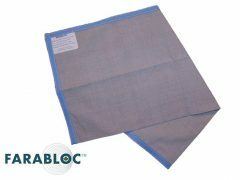 Comes with a specially shaped protector panel for males which can be moved temporarily for urination or removed completely for females. Machine washable in mild detergent, line dry for longevity. Easily remove the extra, unused leg loop. The only downside: even when clipped on, the rear end piece moved around too much when Wyatt walked unassisted. It’s a tool to help your dog stand and move around, but leaving it on all day isn’t the best idea. Got questions? Just call the Solvit PetSafe US-based customer care specialists six days a week at 1-800-845-3274 for help.